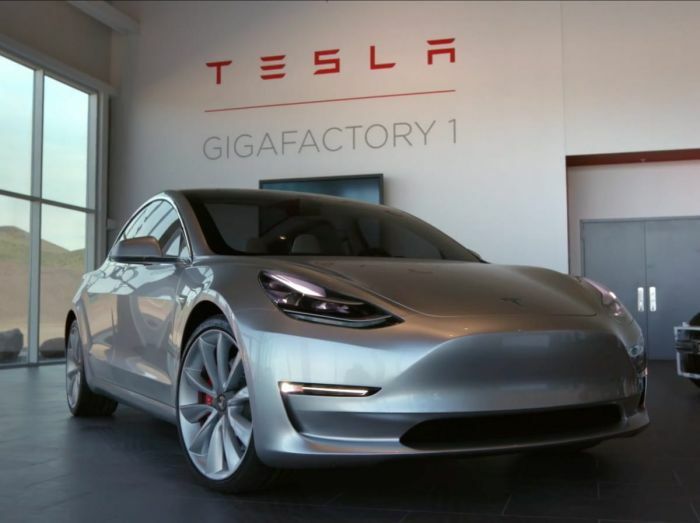 As you may know after all this Tesla CEO Elon Musk decided to sleep in the factory and took the lead of personally directing the Model 3's production. Apparently it's working. Tesla registered 4,793 new Model 3 VINs. The highest VIN is 25374 now. The results are available at NHTSA.gov. No one the Tesla stock (TSLA) has been rebounding in the past few days. In fact, a new Tesla factory drone flyover shows the parking lots full of new cars ready to be shipped. Comparing this footage to the google maps view of the factory shows many changes around the edges. There is now a huge bank of private superchargers in the back and a bonus two superchargers elsewhere. This is the effect of hundreds of Tesla works working very hard. Let's give them the credit where it's due. Looks like it's a beneficial thing when a CEO of a large company moves to sleep in the factory. It gives them the humility check that most CEOS need to have. It also raises their sense of responsibility. I don't know anything about Musk's humility, so no judging here. Some people say that according to worldly standards he is "extraordinarily humble." But I don't know. Who am I to judge. Now the Model 3 owners hope that many invites will go out these days to correspond with these increased numbers of VIN registrations. Some people question why is Tesla registering the new VIN numbers if they have built less than 15K Model 3s. But at current pace (and it's icnreasing) this would suffice only for 2 weeks, so why register fewer VINs? Tesla Model 3's ramp is exponential. We don't know how it works in details because the information is limited. The current pace of Model 3's production is about 2,000 cars per week, which isn't slow, tweets Andrea Zanni this morning. No woner TSLA is rebounding. And again, let's give credit to Tesla's hundreds of workers who have been working extremely hard to responsibly meet customer demand and fulfill the preorders of Model 3. Let us know, please what you think about these developments in the comments section below for discussion. In the meantime, see the Real Reason Why Tesla Model 3 Deliveries Are Delayed: Robots.